On December 27, 2013, Kotaku’s Stephen Totilo told us to bookmark a post and check back three years later. So we did. And now, at the end of 2016, we can finally see how soothsayer Michael Pachter’s 2013 predictions turned out. Pachter, an analyst for Wedbush Securities and host of the Pachter Factor on Siftd Games, a show I enjoy quite a bit (except for that one time he called me out by name for an article I didn’t actually write, but we’ll let that slide), is best known for his sometimes-outlandish forecasts of where the video game industry is headed. Let’s see how he did in 2013, shall we? Verdict: UNCLEAR. Microsoft decided two years ago to stop giving out Xbox One sales data, likely to avoid embarrassing comparisons with the PS4. In January of 2016, EA’s CFO Blake Jorgensen let it slip that Microsoft had sold 19 million Xbox Ones, so the company would need to have moved another 10 million this year to hit Pachter’s number. Which is very possible, given the launch of a new model (Xbox One S) and some price drops. Verdict: TRUE. As the year winds down, Nintendo has sold roughly 13 million Wii U consoles. They’re never hitting 20 million. Verdict: FALSE. The standard Uncharted 4 PS4 bundle is now $250. “...and with Xbox One pricing in the U.S. dropping from $499.99 at launch to $349.99 by 2016"
Verdict: FALSE. The Xbox One has fallen all the way from $500 to $300. Verdict: TRUE. Although some had expected game prices to rise another $10 due to inflation and the ever-growing production costs of game development, that hasn’t happened yet (and will probably cause a revolt if it ever does). Verdict: TRUE. Nintendo only stopped Wii U production last month. 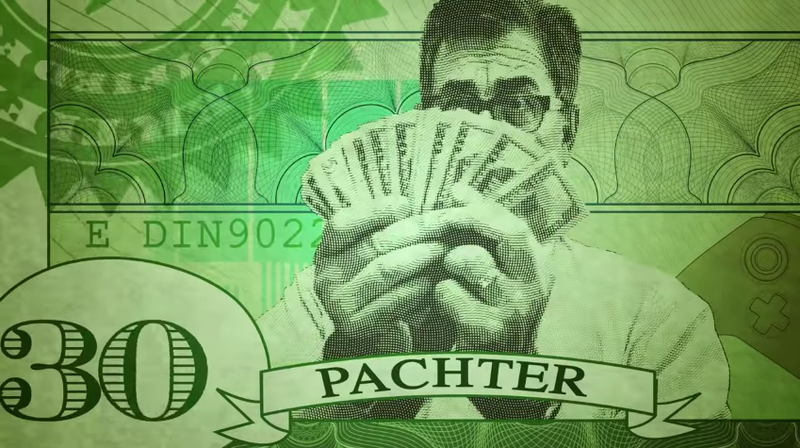 Nice work, Pachter. We look forward to your 2019 predictions.